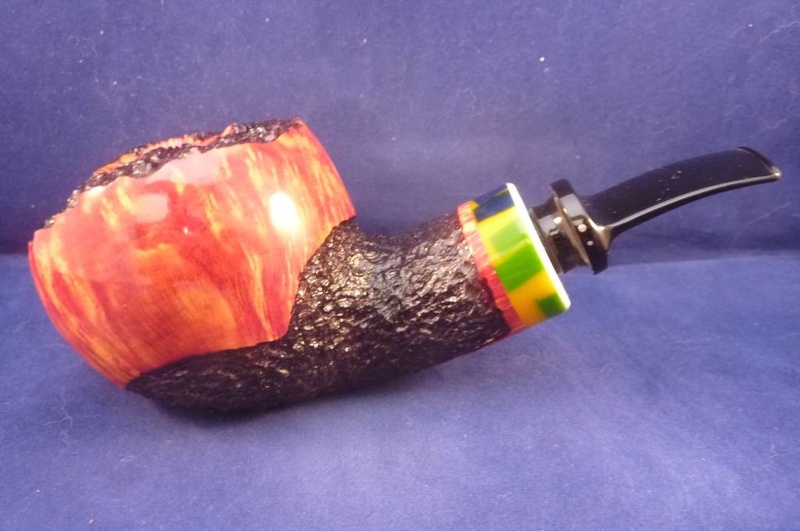 The pipe is extra big and partly smooth and partly rusticated and has a nice ring and an acrylic mouthpiece. 9 mm. filter.